Adaptable. Powerful. 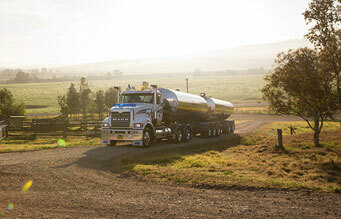 Good for business and Mack Trucks most versatile truck. Our biggest-selling model the Mack Trident can pull up to 131 tonnes. Axle Back or Axle Forward? When we say versatile, we mean it. That’s why we offer Trident with two steering axle positions: Axle Back and Axle Forward. 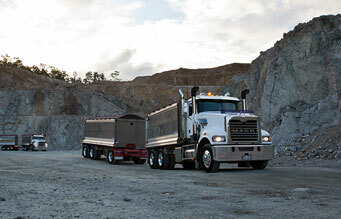 Mack Trucks has been researching our most popular Trident applications - creating our built for purpose range. We’ve brought all our experience to bear, to offer models that have the ideal geometry and drive-line components for specific applications, straight off the assembly line. Speak to your local dealer on the below optimised Trident specs.